BookALimo is always ready to look after you at unbeatable prices while providing you luxury and affordable limousine transport in Sydney. With 24 hours a day and seven days a week reservations system, BookALimo is one of the leading Limo and Chauffeur Hire service providers in Sydney. Book A Limo offers affordable Cheap Limousine Hire Sydney , Chauffeur Service Sydney , Sydney Airport Limousine Services at the very best rates. In Sydney, we are the leading limo car hire provider have an amazing fleet of limousines to cater all your needs at special price for corporate clients, weddings, tours, airport transfers and other general limousine hire. We offer the best and cheap Sydney Airport Transfer, Sydney Airport Chauffeur and Airport Limousine Sydney Services in Sydney Area. Our chauffeurs and Limo are available 24*7 to drive you in comfort at your choice of location such as; Taronga Zoo, Darling Harbour, Sydney Aquarium, the Harbour Bridge for Bridge Climb, Centre Point Tower and other places. If you are looking for best Sydney airport Limousine, chauffeur to enjoy smooth trip while exploring the natural places in Sydney, so we are one stop destination for all your needs related to hire a limo. 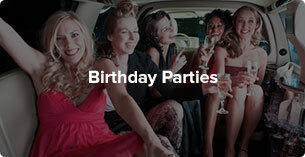 Here at Book A Limo, our goal is simple – we want to show you the epitome of luxury transport and service. Whether you choose us for your wedding, formal, event, airport transfer or point-to-point service, we will always go the extra mile when it comes to our clients. 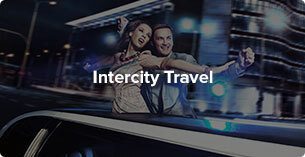 We combine unbeatable luxury transportation with a proven track record of reliable, client-oriented service, endeavouring to make your experience an unforgettable one. We service some of Australia’s major cities; Sydney, Brisbane and Melbourne and if you are looking for the best, you are looking for Book A Limo. 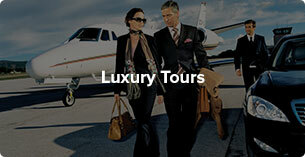 Book a limo provide Sydney airport pickup and Sydney airport transfer service. 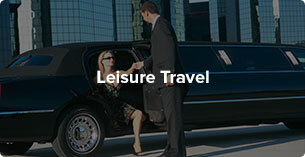 All the chauffeurs that drive our luxury limousines are professionally trained to ensure our clients arrive at their destination in a safe and timely manner. Book A Limo’s reliable, clean and well-presented cars ensure that you will experience a comfortable and stylish journey. Rest assured that whether greeting diplomats, foreigners, celebrities, businessman or regular clients, we treat everyone with the utmost professionalism. Our fleet contains luxury sedans, vans and people-movers as well as stretch limousines and stretch hummers. We select only the highest quality vehicles to be part of our prestigious fleet and all of our vehicles receive regular servicing and maintenance to ensure they remain in safe and impeccable condition. Whilst on the roads, our chauffeurs take extra care of the vehicles to ensure they remain in pristine condition for every customer. Each vehicle is provided with a fully licensed, accredited and professionally uniformed chauffeur. The luxury sedans, vans and people-movers that we offer allow you and your business associates, friends or loved one’s travel Sydney, Brisbane or Melbourne in comfort and style. This is perfect for up to eight passengers and include leather upholstery, climate control, tinted windows and beverage options. The stretch limousines that we offer allow you and your business associates, friends or loved one’s travel Sydney, Brisbane or Melbourne in comfort and style. These vehicles are perfect for larger groups of up to sixteen or when you want to enjoy the extra space with someone special. The features include leather upholstery, climate control, tinted windows, lighting, sound systems, beverage options and much more. The stretch hummers that we offer allow you and your business associates, friends or loved one’s travel Sydney, Brisbane or Melbourne in comfort and style. These vehicles are perfect for larger groups of up to sixteen and are a crowd favourite. Enjoy all the features of a stretch limousine with all the more room, our stretch hummers are the life of the party with a state of the art entertainment system and lighting. 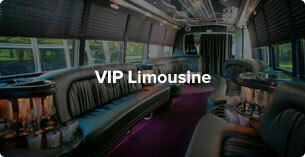 Book A Limo is Sydney’s premier limousine company, setting the benchmark for the luxury transport industry. One of our trusted chauffeurs will meet you at the airport and your journey of Australia’s largest city can begin! One of the must-do’s is visiting our world-famous landmarks, the impressive Sydney Opera House and the Sydney Harbour Bridge. Our professional chauffeurs can assist you on your journey to experiencing the amazing coastline that is Sydney, from the hidden gems of Whale Beach and Little Bay Beach to the internationally recognised Bondi Beach. Wine and dine in any cuisine you wish, there are a number of acclaimed restaurants as well as low-key dining to suit any client’s needs. If you are travelling for business, our company assures reliable, on-time performance coupled with discreet and confidential service.